Posted on September 12, 2018 by santamonicalock Posted in SaMo Lock Blog . It is always wise to check if a business is legitimate before doing any type of business with them. Do your homework by checking to see if the business you’re about to hire has credibility and is trustworthy. The same applies for the consumer services industry. For example, when you hire a locksmith in Santa Monica, you are giving a stranger all access to your property and belongings. As such, you’re going to want to know if he/she is honest and has a good reputation. 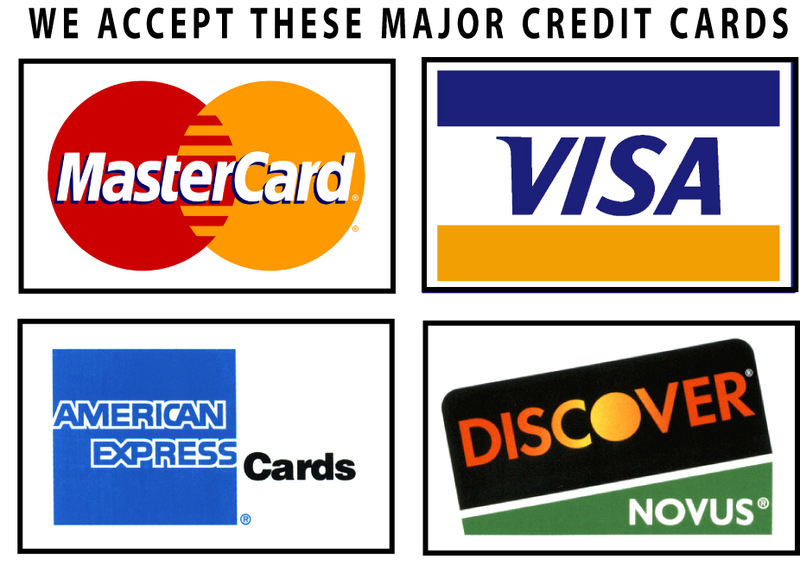 It is also a good idea to check credentials and licenses as well as insurance. Most locksmiths are bonded to protect themselves. Therefore, a good first step is to find out if he/she is licensed to do business in your state as a locksmith. Use the same computer that you used to find the locksmith to research him/her. The Better Business Bureau helps consumers find trustworthy businesses. Here they are rated and established for more credibility. The BBB is a helpful guide for consumers to file complaints and disputes or any grievances with the business. It is also your best way to find out if the company you’re about to do business with is accredited and legitimate. There are two associations that Locksmiths use more than anything else, the first being the Associated Locksmiths of America (ALOA). The other is useful if you’re looking for a safe technician, Safe & Vault Technicians Association. 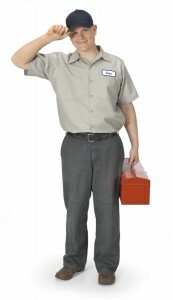 This is the fastest and easiest way to find a certified technician. Other referral services such as Angie’s list or Yelp are also great resources to use. Their platform will not only give you local phone numbers, but reviews of the service provided. Having a locksmith referred to you by a friend or neighbor is another sure way to get a great locksmith in Santa Monica. What a better way to pick one by hearing about the work and service they performed from a firsthand experience. In the end, you’ll want to use your common sense to pick the best locksmith in your area. Using the recourses we mentioned, you will have peace of mind knowing that you are hiring a trustworthy locksmith in Santa Monica to come into your home or office. Posted on July 11, 2018 by santamonicalock Posted in SaMo Lock Blog . Transponder Keys are essential to the modern car owner’s arsenal. Indeed, they make it so much easier to access your car without having to turn the key in the keyhole. The transponder key comes with a microchip that is put in the upper plastic part of the key. 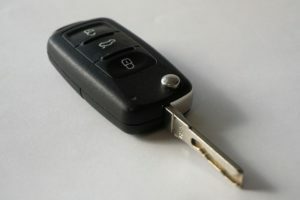 This technology comes in all shapes and forms, but essentially, there are two types of transponder keys: a zero bitten transponder key and an encrypted key. A zero bitten key is designed to be cloned as it has no inscription, or preset values, that come with the key. An encrypted key comes with a preset encryption code and cannot be duplicated. In either case, a professional, such as a locksmith, can clone or reprogram a new key fob for you in minutes and save you oodles of time. Many new cars now come with ‘immobilizers’- units in a car that detect radio signals from transponder keys or fobs. When this immobilizer stops recognizing your key fob’s unique signal, you will need a replacement to start your car again. This is one of the reasons why key fobs cost so much to duplicate these days. Having a properly functioning transponder key is everything with modern cars today. Should any problems occur, it is absolutely essential that you get a professional on the line. Take a locksmith, for example. A locksmith can help you find your keys, make perfect duplicates in minutes, and fix or repair your car’s ignition. The more you know about your particular situation, the faster we can fix your key or reprogram it. A professional locksmith can reprogram a key in a matter of minutes. It only requires us to jot down your VIN (Vehicle Identification Number) and you’ll be on the road in no time. If you need to get your transponder key working again, avoid the hassle of doing it yourself- go to the pros instead. Payless Locksmith Santa Monica is the most reliable provider of Transponder Key Services in the LA basin. Our technicians are fully trained and capable of handling the most broken key fob in your possession. Our quick efforts and meticulous attention to detail have won us several awards in the locksmith trade to date. Therefore, call us at (310) 409-2554 to get awesome transponder key service, to reprogram your transponder key instantly and without fuss. Call today. Posted on April 5, 2018 by santamonicalock Posted in SaMo Lock Blog . It only takes a second to catch you off guard. Cars are being stolen more now than ever, and it’s getting easier for them to do so the more comfortable we get as a society. Unfortunately, motor vehicle theft is going up; it’s over 3.1% nationally now, according to the FBI’s annual Uniform Crime data report. However, you don’t have to end up another statistic. With these 12 tips and tricks, you’ll be able to greatly reduce your risk of a car break-in in your lifetime. This one is obvious, but you wouldn’t believe how easily people ignore it on a daily basis. I once left my car running to get something from my home that I forgot. Next thing I know my car was halfway down the street. I had only left it running for about 3 minutes. Turns out my brother had stolen my car to pull a prank on me. Lesson learned. Remember, your car is vulnerable from the moment you leave it so don’t make it easy on them. Many people think that their car will be safe even if they’re just putting money into the meter. However, that’s not always true as thieves only need a second to catch you off guard. Get into the habit of locking your doors every time you leave your car. Whether it’s for your new Mercedes or your old rust bucket, you should get an alarm to protect yourself from burglars. Make sure to activate your alarm by testing it at home or in an abandoned lot so you know that it works. The place a car is parked in has a lot to do with the risk of a car getting stolen. Your car is much more at risk if you park in large parking places, such as a movie theater or a shopping mall. It is also more at risk if you park next to quick exits like a freeway, places with bad surveillance, or near schools where other crimes could happen in conjunction. 5. Don’t leave your earphones in the front seat! 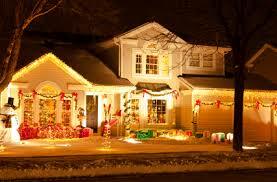 Try to keep everything securely hidden and out of sight from potential vandals in the area. Especially if you plan on leaving your car in the parking lot for an extended period of time. I once left my earphones in the center console in my old 2000 Corolla. When I came back to the bus parking lot after a long day at work, my car was swarming with Police and headlights everywhere. When I asked them what had happened, they told me that somebody tried to steal things in my car. I asked them what the robber was doing in my car, and they told me that he tried to steal the earphones that I left on the center console! I was totally shocked of course, but it proves my point. 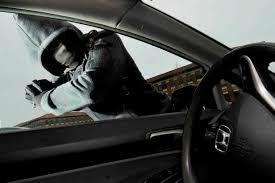 If you leave anything that robbers would want out in the open, they can and will try to break into your car to get it. It goes without saying that by leaving your windows open, you are asking for a car break-in. A thief will most likely try to get into your car by breaking one of the front windows. Therefore, rolling them up and reinforcing them goes a long way towards securing your vehicle better. This encompasses all the other points- keep the windows rolled up, hide your valuables, park in a busy, well-lit area, and lock ALL of your doors when you leave. You want to make thieves as least interested in your car as possible. This one speaks to me personally. It happened to me one night when I was young. I gave some people at a party too much information about myself. The next day at work, when I clocked out at my shift and went to the parking lot, my car was gone. I found out a few weeks later that those same party people had stolen my car and taken it for a joyride. They ended up taking my backpack in the trunk which carried my iPod and all of my electrician tools for school. You want to start putting grocery bags in the trunk right when you come back to your car, not after you park at the next place. That’s because thieves go by what they see, so if you put your bags in the back seat, for example, they are much more likely to take action than if you stowed them away. Bring your keys with you wherever you go. Car thieves know all the spots in your vehicle where you could possibly keep spare keys such as the center console, above the visor, and under the floor mat. Investing in an anti-theft device is a smart choice. Whatever it is, whether it’s a window alarm, a steering wheel lock, or even an ignition cut-off system. It’ll make thieves spend more time in your car, making it more likely they’ll lose interest or get caught. And that makes your car safer already by comparison. The moral of the story is: use common sense. Most thieves prey on naïve drivers who put too much trust in the safety of their cars. And most of the time, those are the people that end up getting their car stolen or broken into. So it very much depends on people making responsible decisions when it comes to keeping their cars and valuables safe. If you want to keep your car safe and secure, try calling a locksmith in your area. Our technicians can install an ignition cut-off system or window alarms to deter thieves and protect your car from break-in. We are here to help 24 hours a day at Payless Locksmith Santa Monica. Posted on June 21, 2017 by santamonicalock Posted in SaMo Lock Blog . We at Locksmith Santa Monica have supplied, installed, provided regular service and carried out maintenance of the most ultra modern electronically superlative home, office and Commercial security systems for our customers, over many years. A Home security system to suit your needs and budget is just a phone call away and with our no strings attached and no obligations quotation you have no cost to incur. If you opt to work with us, whilst being overwhelmed by the fact we will carry out all works as per our written quotation submitted and ensure that all work is executed to your utmost satisfaction. We have provided Home security solutions for many in and around our city and suburbs and have built an enviable reputation for prompt service, competitive prices and above all supplied reliable and tested equipment. Locksmith Santa Monica , carry stocks of most lock related hardware, and accessories, state of the art Home security systems or be it garage door systems, general locks, key restricted master key systems, CCTV & related accessories, deadlocks, window locks and Commercial security systems including most models of ordinary and advanced padlocks, chain locks, and safes of reputed international brands. If you are in need of a comprehensive locking solution for your persisting locking problem, just call us and we will find a solution for you at an affordable price too. A comprehensive array of locking devices and Home security systems are available in the market, selecting the most beneficial and suitable system will be to your advantage, with our vast experience we could help you to make the right decision. Installing a CCTV system in your premises, would help the law enforcement authorities to apprehend the culprits faster if the unfortunate happens and such CCTV has helped law enforcing authorities to bring many criminals to book. Installing a security system in your home or office is not very a very expensive affair and we could design one to your minimum requirement, at an affordable price. So try us out, give us a call and let us put your doubts about a security CCTV system at rest, with our no strings attached and no obligation quotation which would be your ticket to a peaceful and secure life within the confines of your home or office. We also carry with us thousands of “Key authorization letters” of individual restricted key systems with which we are able to identify the restricted key system installed for you by the allocated registration number with you. Providing us your registration number, which would generally be alphanumeric, we will be able to give you replacements or upgrades as and when you wish. These will not be processed over the phone but on production of an authorized letter only, because in the wrong hands it could be used for illegal purposes, of which we are extra vigilant and have the necessary mandatory security clearance to handle such sensitive issues for our customers. We are geared to find a solution for all your locking requirements and problems, we at Locksmiths Santa Monica are at your beck and call anytime and anywhere. Posted on January 8, 2015 by santamonicalock Posted in SaMo Lock Blog . Most thieves will wait on a chance where you are distracted, giving them more incentive to commit a crime at a certain time, during the holiday season anybody’s mind could be elsewhere making it easy to leave a door or window open without being locked. Our team of home security Santa Monica Lock recommend to use this checklist when leaving your house unattended just to ensure that no wrongful doing comes your way this holiday season and every season of the year. Below is a brief checklist of things to keep an eye on. Hide your presents and belongings! Many thieves will try their best to inspect your house before a crime, if they see something they want in plain sight that might give them more incentive to steal! Glancing over this list before leaving your home could save you countless dollars, time and peace of mind. No lock can help you if it is left unlocked. Be careful with your belongings, be aware, if you have any security issues give Santa Monica Lock a call right away and we will assist you within the hour. Posted on October 7, 2014 by santamonicalock Posted in SaMo Lock Blog . solutions. Whether you need emergency service or any locksmith service involving locks, keys and security, we are known as the area’s top locksmith service provide providing service 24-hours a day, 7-days a week and 365-days a year to all area customers. Every single one of our locksmith technicians is experienced, fully-licensed and insured industry professionals. Regardless of type of service you need, our service will handle your service call quickly, professionally and offer you the best price, too. Every single one of our locksmith technicians are absolutely devoted to each customer furnishing total locksmith excellence by only using cutting-edge key cutting and programming services. We strongly feel, skills and knowledge is always vital in order to help customers save a great deal amount of money on any of their lock and key service. Additionally, having years of knowledge and an array of skills under our belts, you will save money. With that said, it is time to let our expert locksmith technicians in the city provide the best services for your unique security needs. We will make an uncomfortable situation as stress-free as attainable! The safety of your home is very important to us. 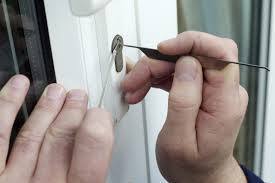 This is why our skilled Santa Monica residential locksmith technicians will help make you feel comfortable while taking care of the security of your home. Some of the common residential locksmith services we provide are lock take care of lock outs, re-keys, key duplication, change or repair locks, high-security locks, access control systems, electronic locks installed or maintained, key control systems and even more! Nearly anything having to do with residential locksmiths, we can serve your needs anytime, and we do offer customers 24-hour emergency service, too! Our locksmith technicians are industry authorities for all automobile makes and models. This means that you are in great hands because all of your vehicle key and lock needs are made to be easy with our expert automotive locksmith technicians on hand. Regardless what kind of automobile locksmith services needed, our skilled locksmith technicians can assist with emergency lock outs, keys made, transponder keys made, reprogramming of computer chip, unlock doors or trunk, ignitions fixed or even replaced, electronic locks repaired or installed, replace locks, key extractions, locks repaired and much more! The security of your company is very essential to us and our expert Santa Monica commercial technicians will ensure the protection and safety of your building, so you will be able to rest easy. No matter what you security methods you require for your company, we take care of services like; master system re-keying, access control, keyless entry, high security locks, door lock installations, lock out situations, lock picking, commercial emergency services, door locks, door repairs, safe locks and file cabinet, digital locks and a great deal more! The acknowledged industry leader in the area is Locksmith Santa Monica when considering all facets of locksmith services. We provide locksmith services in Los Angeles daily. No matter what locksmith service needed – residential, automotive or commercial, we are available for you 24-hours a day, 7-days a week and 365-days a year. You will be so pleased you had our highly rated service to perform your locksmith needs. Call us today for questions or for locksmith service!